Recently released census estimates indicate that the Jacksonville metropolitan area is now home to over 1.5 million residents. This means that there were more than 160,000 new residents in 2017 than there were in 2010 in the Jacksonville area. However, numbers also reveal that 54% of this new population has moved into the counties surrounding Jacksonville. With suburbs and bedroom communities rapidly growing, unique new developments are being introduced to the market as developers search for ways to differentiate their products from the competition. 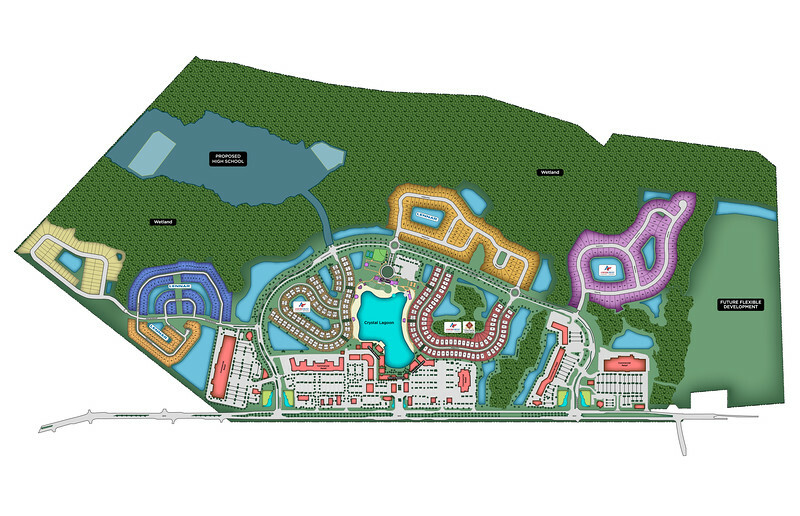 It can be argued that one of the area’s most unique projects currently under development is being built one mile east of I-95 (exit 329) on County Road 210 in Northern St. Johns County. 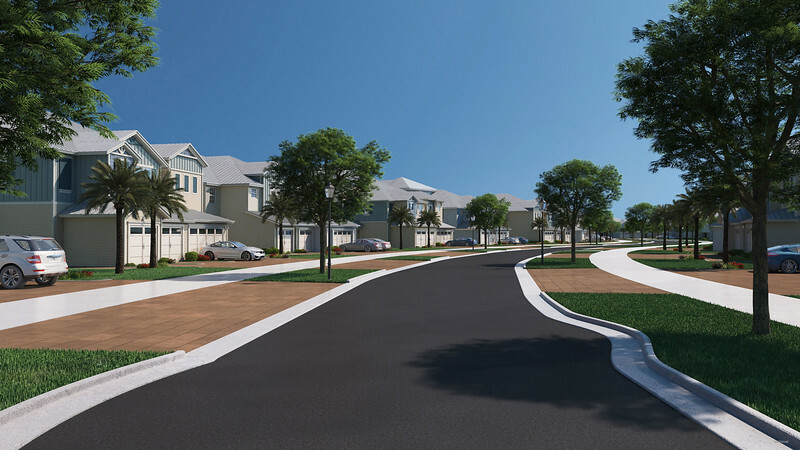 The result of a partnership between Twin Creek Development and Encore Capital Management, Beachwalk is a 1,100 acre mixed use development that will include 761 single-family homes and twin villas and 175,000 square feet of retail when completed. While it isn’t the first or only major residential development underway along County Road 210, without a doubt it is the most interesting because it features one of the largest man-made basins in the country as its most substantial amenity. 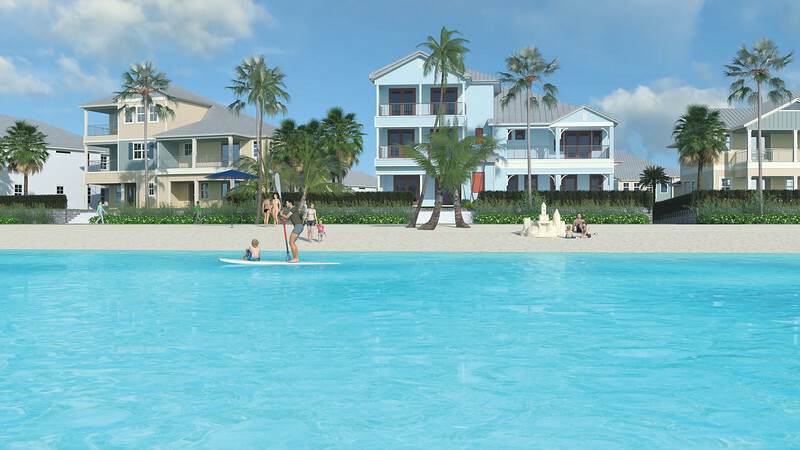 Situated in the heart of the development, a 14-acre lagoon that uses chlorine bursts to keep it blue and clear, serves as a private beach for the development’s residents. Facilitating swimming, sailing, snorkeling, kayaking and paddle boarding, a 100-foot man-made white-sand beach and winding footpath surround the lagoon. 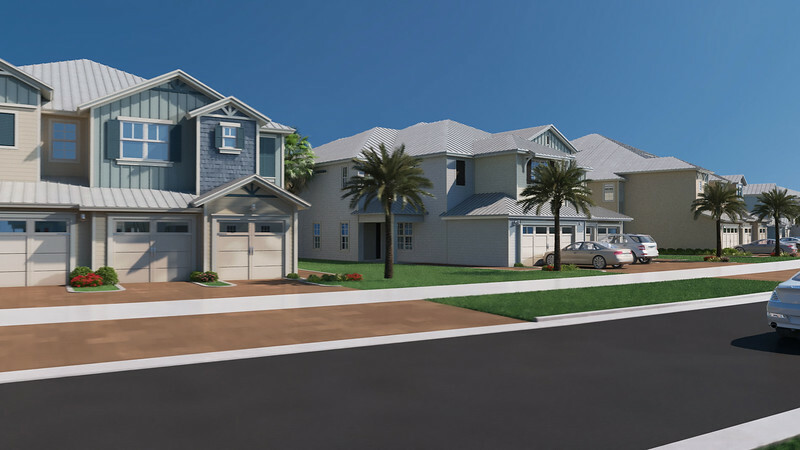 With housing prices starting in the $300,000s, the community is being designed to mimic the Caribbean with Key West and West Indies style residences, Bermuda grass and various types of palm trees. 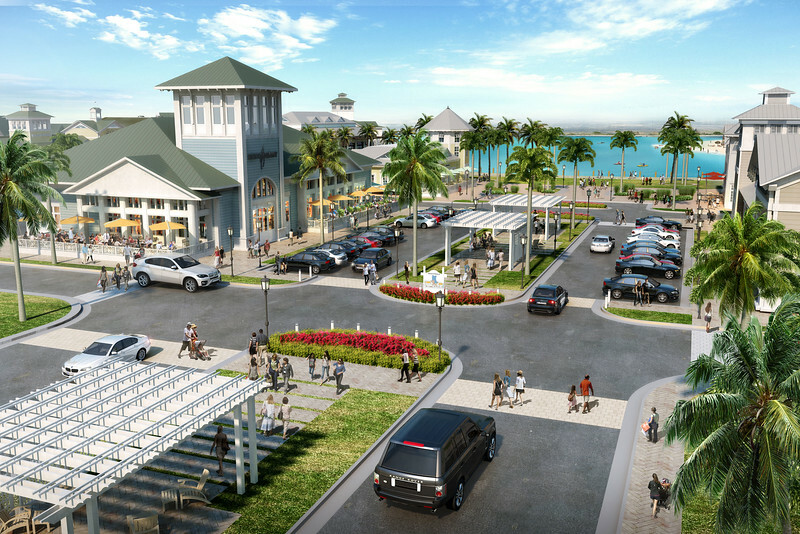 Like many projects rising in or near Downtown Jacksonville, Jacksonville Beach and St. Johns Town Center, Beachwalk is also being designed to become a live, work and play community with 175,000 square feet of retail that will be developed along County Road 210 between I-95 and US 1. 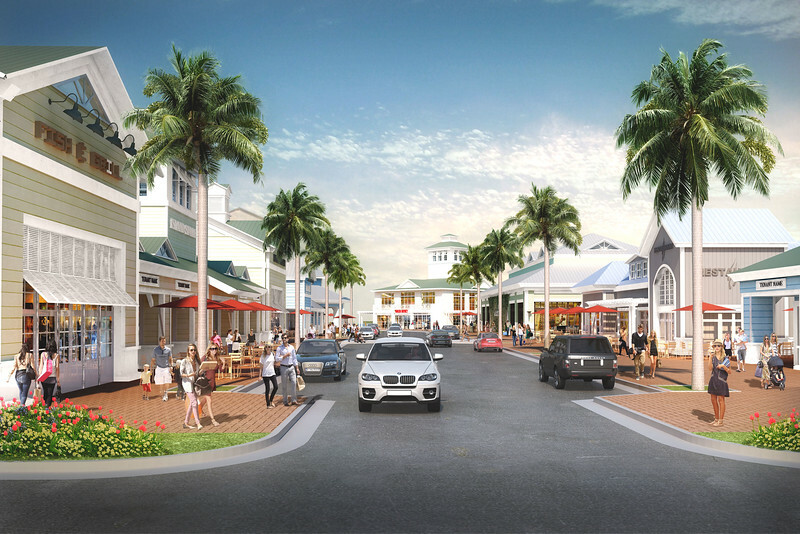 When complete, this town center style commercial zone at the community’s main entrance will feature destination restaurants, a boutique hotel, a multi-screen movie theater, supermarkets, pharmacies, gas stations and coffee shops. Other amenities include a private beach club with a miniature golf course, fitness center, restaurant, and a splash park for Beachwalk pets. Here’s a couple of renderings that illustrate what the project will resemble when it is complete.